Cover Reads: Sometimes I Regret The Laser Eye Surgery. All the wonderful Christmas decorations, including lights and garlands, will be lost on this scarf-wearing snowman in this wintry funny Christmas card. 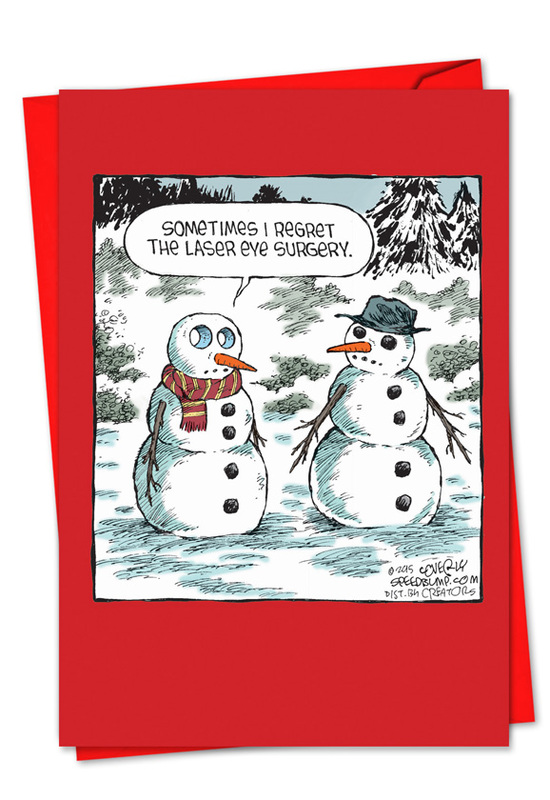 Dave Coverly, the creator of “Speed Bump,” is the genius behind this corrective eye surgery greeting card. His sense of humor is perfect for people with a dark sense of humor, eye doctors or for your friends or family who wish they were blind when they see Christmas stuff go on sale in September. 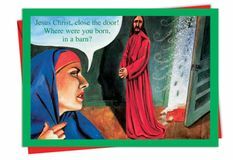 Send your own clear vision of festively decorated holiday good humor by giving the gift of greeting card laughter. It’s safe and clean enough for the office, yet still is shocking enough to get hysterical laughs. You can’t find cards this funny at the grocery store. 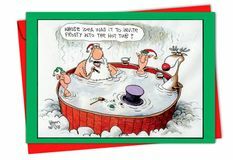 NobleWorks Cards offers discounts that increase with the number of this card that you buy, so make this funny snowman Christmas card a part of your holiday giving. 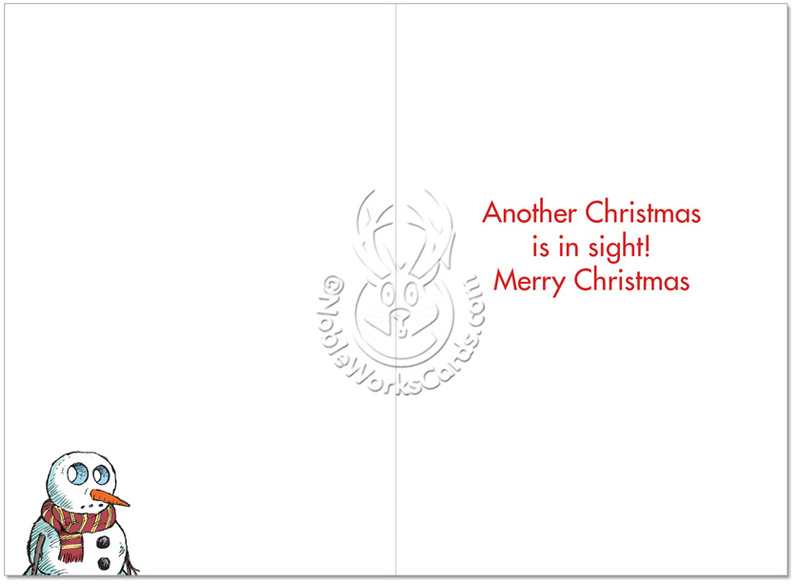 I love the cards with snowmen talking to one another like people. They always have something hilarious to say. This card in particular, especially for my sister who just had laser eye surgery. Thanks again, NobleWorks! The cards were funny and the shipping was quick. 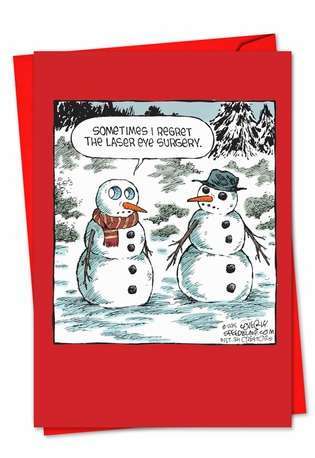 Perfect card for the family member that had laser eye surgery!